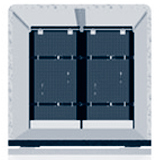 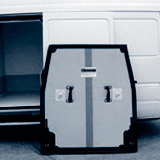 CargoLite is a lightweight flexible bulkhead system suitable for establishing different temperature compartments in panel vans/home delivery vehicles. 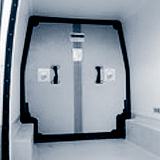 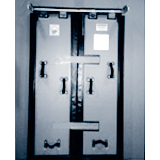 The CargoLite Bulkhead System is suitable for panel vans/home delivery vehicles and allows for establishing different temperature compartments. 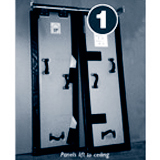 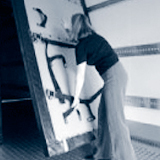 The LoadMaker 1300 driver friendly easylift system is two bulkheads in one and stands out for its easy lifting and lowering. 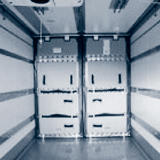 The bulkhead panel swings to the side of the body for easy passage from ambient to chilled and from chilled to frozen compartments. 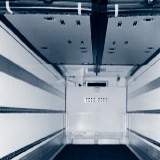 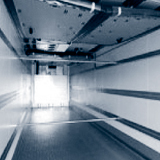 For establishing different temperature compartments in a single compartment trailer, our easylift system is the most multifunctional and cost-effecitve option for both chilled transport and combined logistics. 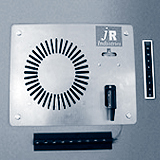 The system comes as an assembly kit, prepared for an easy and quick installation. 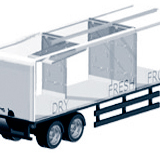 The LoadMaker Bulkhead System is particularly used in single compartment trailers with different temperature requirements, where different foodstuffs are required to be carried at different temperatures. 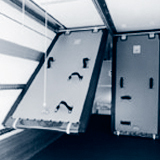 This multi-compartment transport has become increasingly popular throughout Europe as changing consumption patterns coupled with both legislative and retailer quality requirements have had their effect. 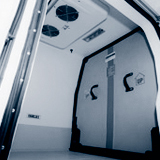 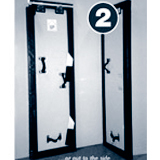 The System D is the flexible Bulkhead system with split panels and is available as 1 piece, bi-fold or plug. 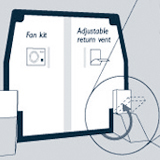 It offers multi-options for your bespoke application, including fans. 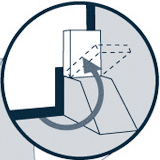 Normally a 50/50 split, this makes the System D driver and loader friendly, effectively halving the effort to open and close - particularly with the all stainless steel Lift & Stow device. 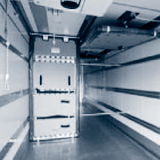 The System D is particularly used in chilled and freezer bodies with different temperature compartments, where different foodstuffs are required to be carried at different temperatures. 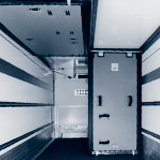 This multi-compartment transport has become increasingly popular throughout Europe as changing consumption patterns coupled with both legislative and retailer quality requirements have had their effect.